Europipe exhaust systems are designed for the driver who demands the best without compromise. 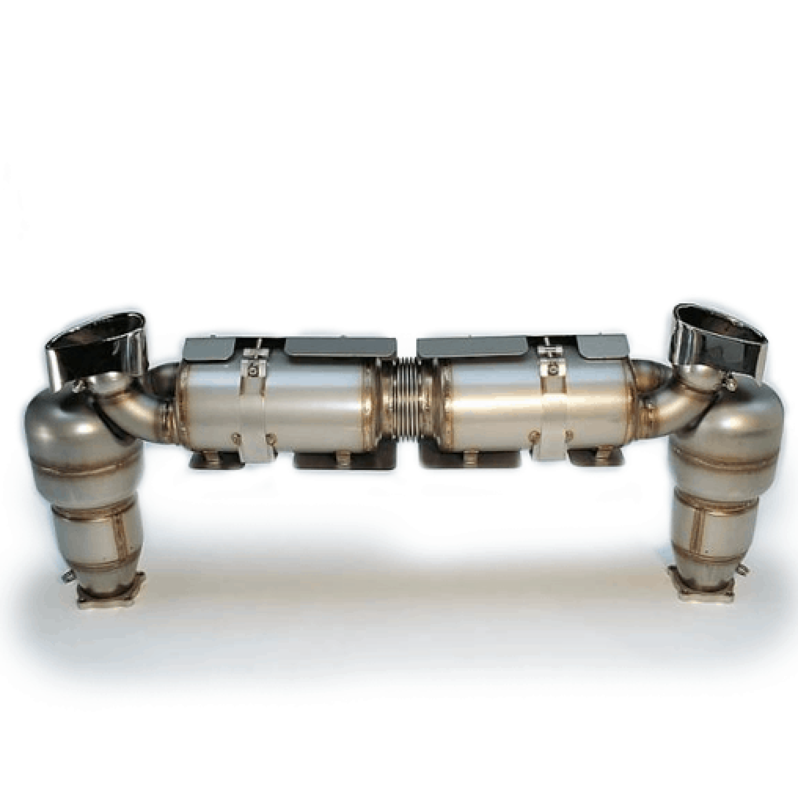 Europipe exhaust systems set themselves apart from the competition in both tone and power. 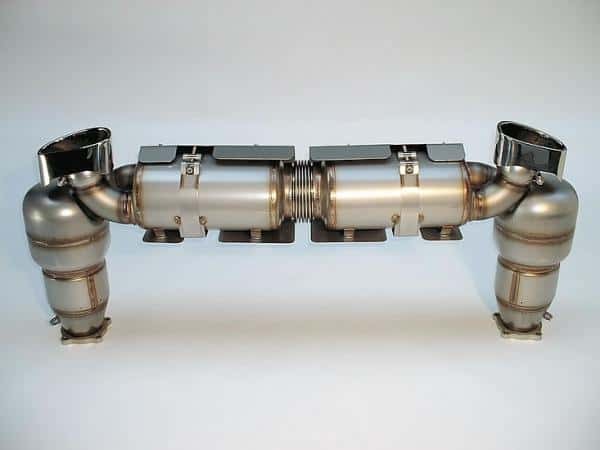 The Europipe 996Turbo exhaust lets the driver know it means business with a healthy low rumble. During normal commuting conditions the system lets you know it’s there with a growl that will turn heads. But when you open up the throttle, the Europipe delivers a sound that drivers dream of. In addition to it’s musical tone, Europipe exhaust systems provide more power than any other exhaust system on the market. 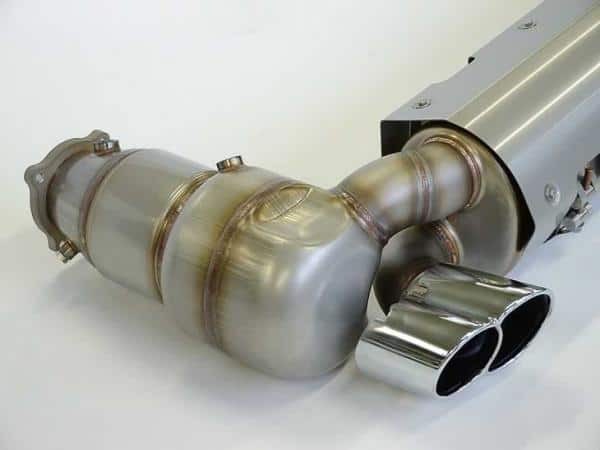 As measured on our in-house dyno, the Europipe exhaust system is capable of delivering 25-30WHP. This is achieved through their innovative design that incorporates massive catalytic convertors. The stock 997 Turbo exhaust employs 108mm catalytic convertor cores while the Europipe system vents spent exhaust gases through enormous 130mm cores. Don’t be fool by companies that claim greater exhaust flow while using a catalytic convertor core that is smaller than stock. The only way to reduce back-pressure, and thus increase power, is to use larger diameter cats and piping. This larger catalytic convertor is also constructed of higher quality materials than the majority of aftermarket companies. 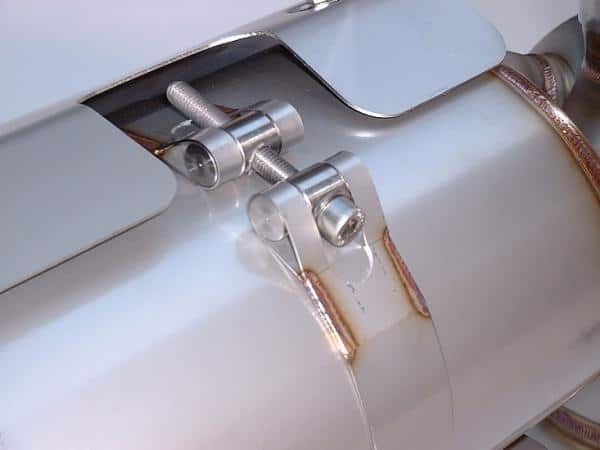 The cores used in most aftermarket exhaust systems are usually of a lower quality than stock and often result in check engine lights, or cats that fail prematurely. in addition to huge power and perfect tone, Europipe exhausts feature the best craftsmanship and materials available. Each Europipe system is fabricated to order by hand at the Europipe facility in Belgium. *Please allow 7-10 days for fabrication of exhaust system before shipping. **Prices are subject to change based on exchange rate. Give your 996Turbo the bark to go with its bite.